When it comes to camping, it’s not just about moving to your next door’s house. It needs well-organized preparation in advance. Just imagine going to a camp and you found out that you just forgot to bring your flashlight, that would be just daunting. There are gears that you can’t afford to lose when you at the camping site and we’re going to laid out for you, so you don’t have to miss that flashlight, again. You don’t have to invest thousands of dollars for a weekend trip- that’s why it’s always wise to buy the equipment that you only need. 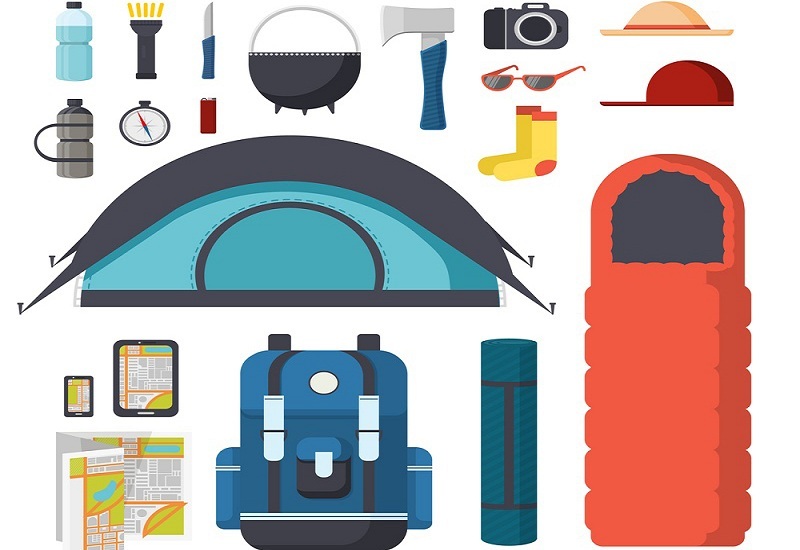 Here are the things that you should take into consideration, so you can have the total experience of your camping adventure. The price of tents usually ranges from $50 to $1,000. Well, you don’t have to go for the most expensive ones, if you don’t need those extra features such as USB ports, lights, and grills. If you have them separately, then you don’t have to pay extra for these features. If it’s you’re a beginner camper, you should check features like easy to set up and basically can provide you more overhead space. The tent size is something that you should consider. If you’re going with someone then, you should look for a bigger one. If you’re not sure what the size would be like, always add a person or two on your headcount, so you can land in much bigger tent space. If you’re not after feeling cozy, you can just go with blankets, but of course, most likely you’d wish you have a sleeping bag and a pad for they can add up your safety gear. Most sleeping bags are graded in different degrees, but one of the best ideas to get is the one that is made of a 10-degree cushion, they provide much more comfortable that you could possibly imagine. Don’t go with down filled sleeping bag that goes down as you put your weight, there not really going to give that top of the line convenience when you are sleeping. When it comes to sleeping pad, you’ll better off with air mattress, they are super easy to inflate with a portable and light pump that usually comes along when you buy one. There are bit bulkier options out there, but as long as the weight is something that you can carry, then it would be great to bring to your camping spot. You can place the sleeping pad under your sleeping bag, just so you’ll feel more elevated and more comfortable while you sleep. Other than having a decent sleep, it’s important that you have lights to go with you when you sleep. If you just need to find a misplaced lighter on your tent and needs only a light that comes with little power, you can consider adjusting the light power on your headlight, it will also save other campers from waking up from the light that you use. Expect that it will really get dark at night, that’s why you may want to bring something that could light up your environment. Headlamps are convenient to use, it will be best to get yourself some rechargeable and powered by batteries spotlights, so you have choices to pick from. Without safety first-aid kit, don’t head out to the woods- it’s not going to worth it. Accidents are inevitable, so you must be always prepared to aid one when it happens. A kit would be a great spot to put your supplies together from your house, since they are handy and are purposely made for medicine storage. Of course, you can’t go on without food and water. If you prefer to grill your BBQ on the camping site, then you need a grill gear to do that. You could also prepare your food at your home and bring it along with you on the camping site. Water filters would also be great to bring along with you. There are times that you feel like drinking something cold while sitting next to a campfire- your friends might want it, too. In that case, you will be needing the best camping cooler to keep them cold, ordinary keepers won’t keep them cold for long. Save yourself from ice soaking on your food, with the use of camping coolers. They are quite affordable, you just need to check out some reviews out there to land with the right one. Find gear that would work best for you, not that you’re the one who have to adjust with it. Prepare in advance and you will definitely have a fun date while you are camping. If you’re not familiar with the place, you can bring a map with you, so you won’t be lost in the woods. Happy camping! Previous : Personal Injury Attorney, How Can He Help?